Put on your reading glasses, this is about to get serious. Obsidian Platform (OPL) has been supporting many projects and developers with lots of work happening across these teams and communities. A slew of news and updates were released through Q4 2017 and Q1 2018. Here are some of the highlights and Obsidian (ODN) projects progress to date. With the backing of Obsidian Platform since July 2017, our OSM development team has been releasing more stable Android APKs. Their plan is to release regular new builds in future. We have been looking at how better to standardise the code and create useful documentation. This will help more developers extend and build out their own apps using resources created so far. 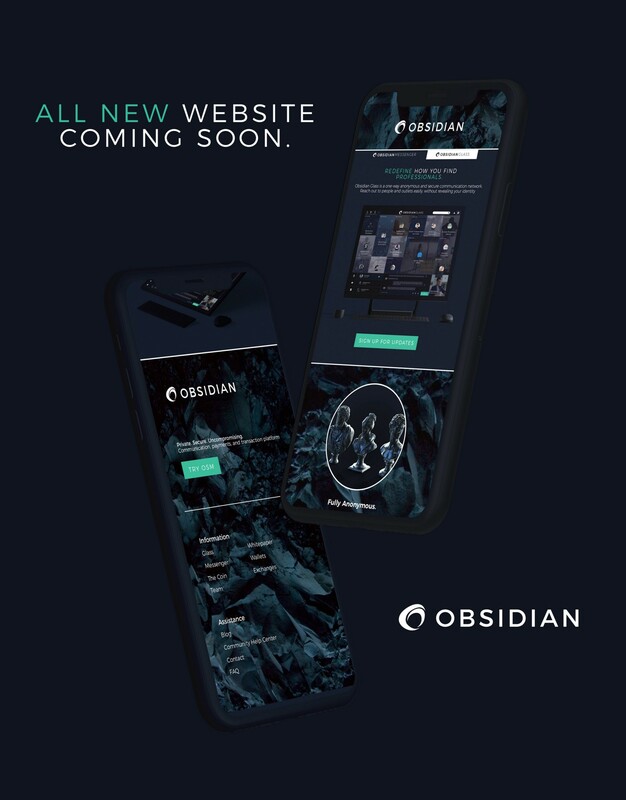 The Obsidian (ODN) wallet can be downloaded from the official Obsidian Platform Open Source code repository on GitHub. Obsidian community developers have been working on a web-based application with backend infrastructure. The initial use-case is to act as pseudo smart contracts for paying bounties. We will open source this under an MIT license, as a working product for other third parties to fork. In essence, this is similar to a basic smart contract system. OAPP enables agnostic payments to be made between two parties. OAPP accommodates those who would like to manage payments via Obsidian. Not limited to bounties, this can be used for service providers, goods, and more. We have iterated on the website through various phases of the project to date. 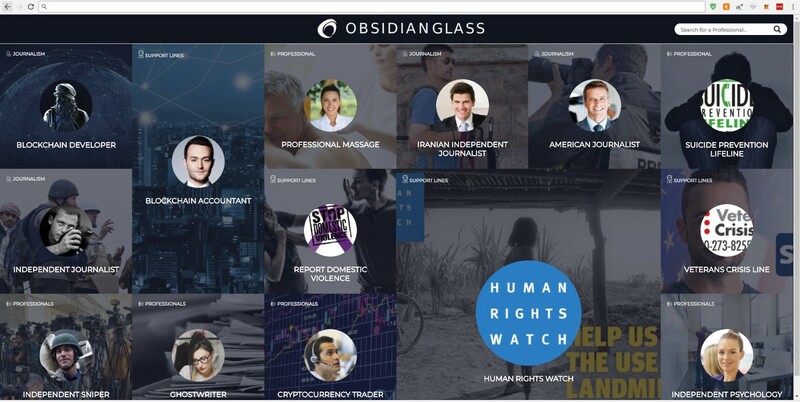 Obsidian Platform supported the development of various websites and media content for ODN. This was done to help promote various OPL-sponsored projects. Third-party agencies and marketing specialists worked to develop branding and content. We welcome more developers to get involved in collaborative development. We are also keen to support projects that use code which OPL has helped develop to date. We have asked developers we supported to ensure that all code produced is open-sourced under an MIT licence. This helps to enable a more active, positive and collaborative community build with Obsidian resources and support from OPL. Currently, there are also research projects being created by third parties and we will update our community when we have more information to release on the matter. Claus Ehrenberg, aka Blackstone, was supported by OPL to deliver a secure, encrypted messenger application (OSM) from 2017–18. He requested OPL to contract additional developers to port the OSM Windows 10 messenger application to Android. OPL supported the development of this application until the OSM project and developers took a break in February 2018. OPL continued working on other projects and will support future development on ODN and ODIN. This future roadmap for ODN has been suggested as a possible path for Obsidian development, including wallet development and SegWit implementation. Create a test plan and implement UAT testing. Releases should be neat, production quality apps and available from the Google Play store when code audit and testing is complete. Proposed integration of the ODN C# wallet into OSM, which would enable the possibility to send ODN in messages. Work towards various methods of decentralization of messaging nodes, pending further research, development and collaboration with specialist developers. Work with partners and our core team developers to port to the Stratis Breeze wallet, as part of the preparation process towards decentralized messaging nodes. Use the core of Stratis Breeze wallet/StratisBitcoinFullNode to create the OSM integrated wallet. Bounties for the developer community. SegWit for ODN soft fork, Lightning Network tests. Integration in payment providers such as coinpayments.net, so that you can go shopping with your ODN. Work with OPL on a framework to make it easy, safe and profitable to build and support community projects. The goal is to make Obsidian a community-owned project like Bitcoin, where anyone and everyone can contribute without asking for permission. Feasibility study and work towards implementing atomic cross-chain transactions. One of the Obsidian (ODN) core team members, Sagemark and his team have been hard at work with support from OPL on their third-party Obsidian Glass application ready for release with the windows client app for Obsidian messenger. 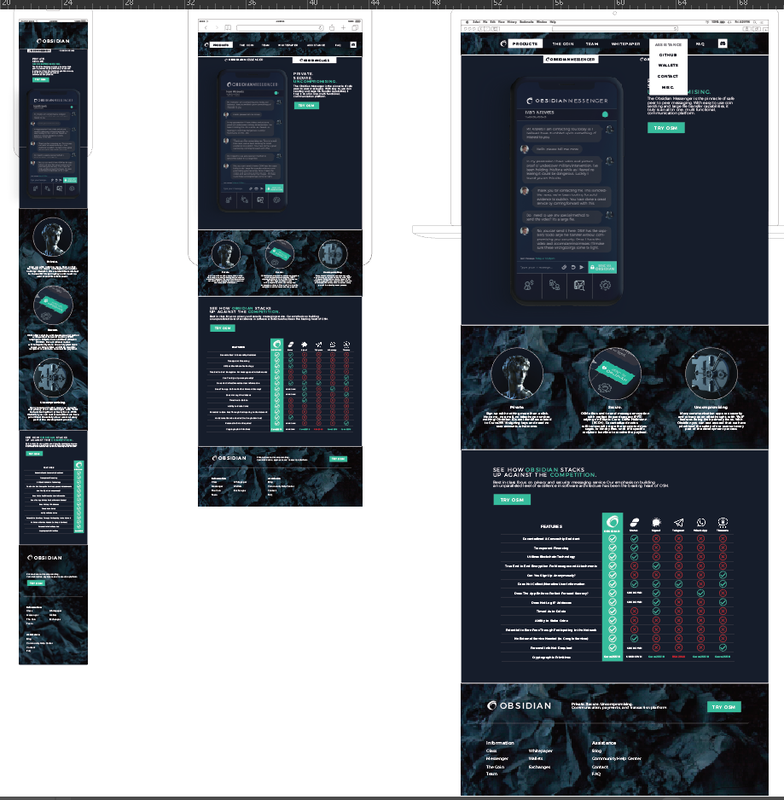 We currently are working on UI design and profile creation is well underway. There is more to work on, and the future of Glass is exciting as it opens the doors to mainstream acknowledgement through collaborative efforts. Here is a screenshot of the current test site. We also welcome a new addition to the crypto sphere: The ODIN Blockchain. A sister initiative and independently funded non-profit community project from our CEO, Peter McClory, this chain is built with the community at its center. Obsidian community members will be eligible to receive a discretionary airdrop of ODIN when the development team have completed the mainnet release of this new blockchain. The ODIN Blockchain is different to Obsidian, in that the focus is on providing frameworks for both non-profit community products and services to be created and evolved, but also supporting commercially-oriented partnerships with a range of development teams. ODIN also draws upon the privacy and data protection aspects which are part of Obsidian’s core philosophy. However, ODIN also takes this focus point and aims it straight at the mobile sphere. Rapid, and exciting progress is being made on the ODIN project, and whilst funded entirely by our CEO, it is his current focus to complete the listing of OSM on Google Play store before the end of Q1 2019. We are all very excited to see how the two blockchains could work together in the future, collaborating with community members and a range of experienced development teams from different backgrounds, for several mutual benefits. Well, there you have it. The team has been busy, and more projects are in the pipeline. We feel like things are back on track, and we want to deliver more technical projects and information going forward. The plan is to have more structured announcements via Medium and social channels, and we thank all the community for your continued support. We believe that ODN is on the path that it needs to be and have full faith in delivering more value, transparency and embracing the ODN community throughout 2018 and beyond.